Is it how much money you make? Is it being your own boss? Or is it not having to walk to work in a blizzard…? We all have different ideas of what success looks like. But measuring it should be very personal. Don’t get caught up in other people’s opinions of your success. Focus on what your idea of success is and how you can achieve it. Because you can achieve it if you BELIEVE you can and TAKE ACTION to make it happen. 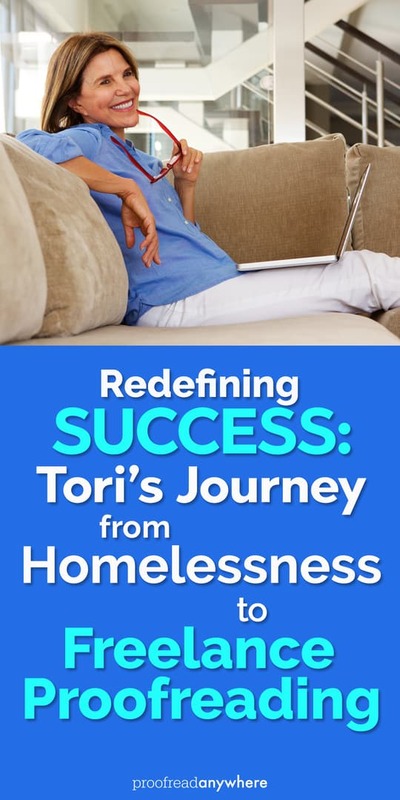 Tori had to overcome some really difficult challenges like going through a bad divorce, becoming homeless, and listening to people tell her she had nothing worthwhile to offer. Well, she’s proved them wrong! Now she works where and when she wants, doing work she enjoys. And she doesn’t have to walk to work in a blizzard! Keep reading to learn more about Tori’s journey! Q: Hi, Tori! Tell us a little about your background. What did your life look like before you crossed paths with PA? After twenty years in a bad marriage, I got a very bad divorce. Basically, I left with the clothes on my back and not much more. Even though I’d graduated from college, I hadn’t worked much during the intervening years. In order to eat, I took a retail job that was wholly unsuitable, but I soldiered on. After six years of struggling, the store I worked at closed and I found myself homeless. After about a year, I moved in with my son and got another retail job. At the age of fifty, I was making $10/hour. Needless to say, I hated it. But the real low point was when we had a blizzard, and no one could drive, yet I was expected to walk to work. Q: Wow! I can’t blame you for wanting to make a change. No one should have to walk to work in a blizzard! When did you start freelance proofreading, and what made you decide to learn how to proofread? I had done some writing and editing before, so working with words was on my radar when I saw the ad for PA. I’d looked at several writing/editing sites, but the pay was far too low because of competition from people in other countries. I was very skeptical about taking the Transcript Proofreading course, but continuing on the retail path was untenable, so I decided to give it a shot. It literally took all the money I had to take the course. The first most challenging part was that I had zero money, so it took a huge leap to put my entire paycheck toward such an unknown. Then there was the challenge of having the self-discipline to finish. Q: Kudos to you for overcoming those challenges! What was the most valuable thing you learned during the course? The most valuable thing I learned was that my brain and I have worth. For a very long time, people had been telling me, by words and actions, that I was of no value and that no one would ever think that I have something worthwhile to offer. Now, people I’ve never met send me thank-you gifts! I’ve learned that if I can summon enough faith in myself, I can succeed. Also, that my success doesn’t need to look like anybody else’s idea of success. Q: Those are some wise words from a wise lady! The only definition of success that’s important is your own. How long did it take you to find your first client? And how many clients do you have now? I started the course in January of 2017 and passed the final in August that same year. My first client was about six weeks later. Now I have three regular clients who send me work every week, plus a couple who send me stuff a couple times a month. I recouped the cost within about four months of getting my first client. It might have been shorter if I didn’t hate marketing so much and if it hadn’t been over the holidays. It’s definitely worth the money. There are a ton of “get-rich-quick” schemes (scams) out there, especially on the internet and especially aimed at people who want or need to work from home. However, with Proofread Anywhere, it’s possible to learn actual skills that are useful and able to be built on. 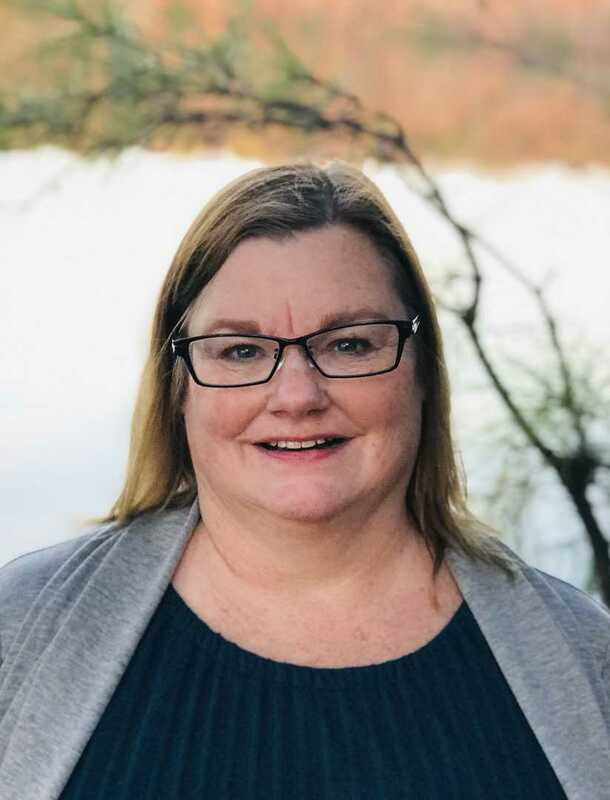 I would caution people that the course and the work aren’t easy, even for “word nerds,” and it does take effort on your part to do the coursework and to find and retain clients. Q: So true! Proofreading transcripts is a very specialized niche, and it takes hard work to learn how to do it properly, but the rewards are worth it! 😊 What does your life look like now as a working freelance proofreader? Over the last year, I’ve worked on planes, trains, and in automobiles. I’ve worked in coffee shops, waiting rooms, and on my back deck, all on my own schedule. I wouldn’t mind having a couple more regular clients and that’s one of my goals for the next couple months. But I’m very picky about who I’ll work with, and, again, I hate marketing. The beautiful thing is, I can afford to be picky. Because of proofreading, I was able to fly to Denver for Thanksgiving with my son, and at Christmas, for the first time since my divorce ten years ago, I was able to buy my kids the gifts I wanted to buy. Later this year, I’m planning to move to Japan along with my oldest son. I’ll be able to continue working because this job is truly portable. I’m averaging a bit over $1,000/month now, which is more than I was making in retail. And I work a few hours a few days a week from anywhere I want to. And I don’t have to walk to work in a blizzard! Q: I love it when people use proofreading to create the kind of life they want! Anything else you’d like to share with the PA community? This community has been, by far, the most supportive group I’ve ever encountered. The admin team responds to questions and problems promptly and kindly. The student group is great when your motivation lags. Far and away, though, the graduate group is The Best! People share tips and tricks, cheer each other on when there are successes, offer advice and sympathy when things don’t go so well (in business and in our “real lives”), and even help with actual proofreading questions (“Does this need a hyphen?”) on a daily basis. There’s no drama or competition and those who’ve been around the block support the newer members. You need never feel like you’re on your own. I’m so impressed with how Tori stopped listening to other people’s opinions on her worth and her success and started trusting her own opinion. I hope her story will inspire you to overcome your challenges and redefine what success means to you. Want to create success on your own terms like Tori did? Check out our free 7-day introduction to proofreading course.